Join New Quay Birds of Prey and get up close and personal with some of Britain’s beautiful native owls. Learn all about them and watch them fly. 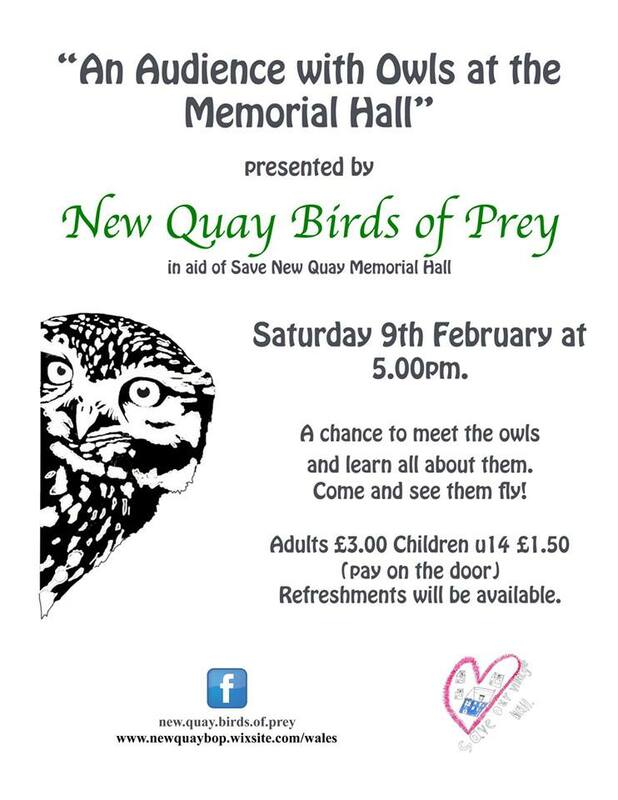 All in aid of Save New Quay Memorial Hall.